Oh, we like our projects here at Kittysneezes. We’ve reviewed every Sparks album (minus the latest one), every Residents album (minus the last couple) and we’re currently working on the Legendary Pink Dots and, even more daunting, every issue of MAD. But who says that’s enough? So today is the launch of the Zappa Project. We’ll be reviewing every official Frank Zappa album, in order. And, of course, that means we’ll be starting with the Mothers’ first, the first double-album debut, Freak Out! It’s strange to get a debut album that works almost like a mission statement, but Freak Out is a perfect mix of what Zappa’s best albums would be. The album spans genres, from R&B to avant garde, and flows perfectly. The story goes that Tom Wilson signed the Mothers to Verve thinking they were a white blues band, and, well, thankfully, Wilson was mistaken. The Mothers were so much more than that — though, given how painful most white blues bands are to listen to, that’s not exactly saying a lot. The album is probably the poppiest album Zappa ever made, but considering that it’s the album with “Hungry Freaks, Daddy” and “Return of the Son of Monster Magnet,” that’s not necessarily saying a whole lot. But aside from the bulk of the second disc, the songs are tight, mostly under three-and-a-half minutes, and feature easily-hummed melodies. Even songs like “Who Are the Brain Police?” with disturbing lyrics and an unnerving sound scape has a simple melody for the verses, almost like a nursery rhyme. “Brain Police” could almost have been cut from the later We’re Only In It For the Money, but even then, it’d probably need some abrupt edits and studio chatter to truly fit in. 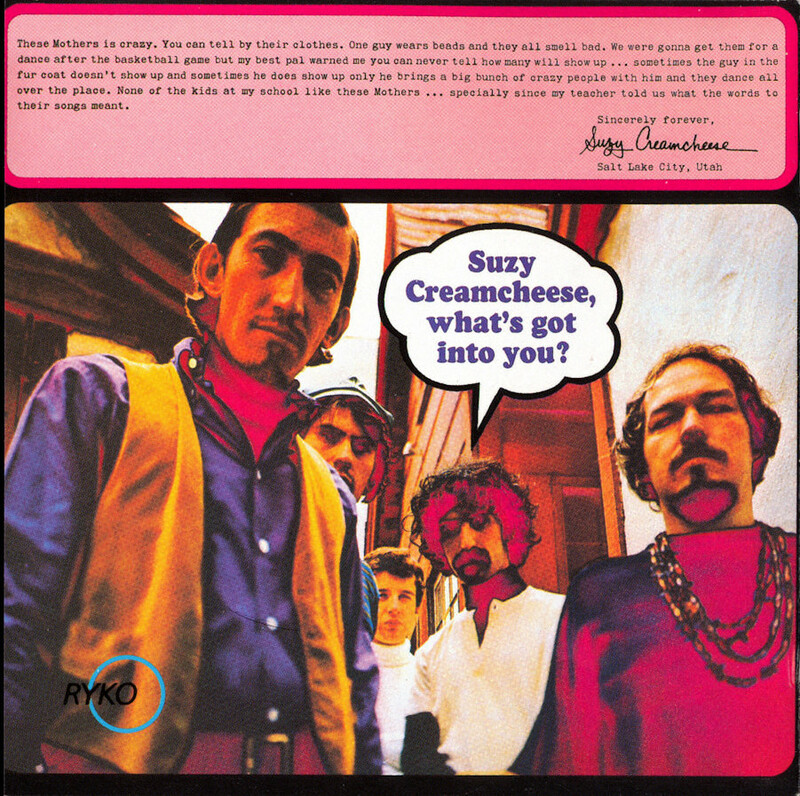 The back cover of “Freak Out,” albeit with the Ryko logo from the 1995 Rykodisc reissue. “Monster Magnet,” on the other hand, just feels cacophonous. I have to admit, when I’m listening to Freak Out, I generally turn off the record somewhere after “Trouble Every Day.” Sometimes I’ll listen to “Rock,” sometimes I make it to “It Can’t Happen Here,” but I rarely sit through the 12-minute “Monster Magnet.” I don’t know if that makes me a bad Zappa fan, but, well, whatchagonnado?